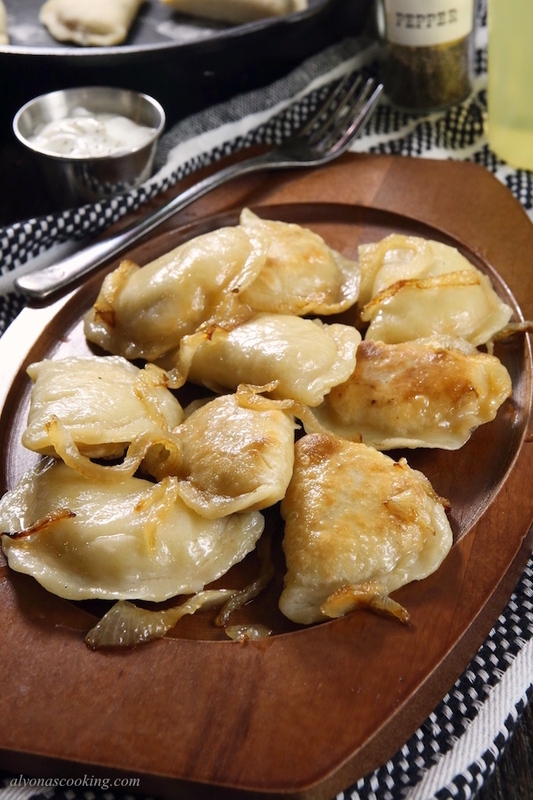 This Polish pierogies recipe came from a Polish lady. My sister-in-law asked her for the recipe after trying these at her job. 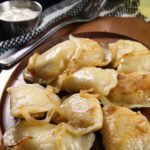 Eventually, the recipe passed down to me and I found these freshly made Polish pierogies certainly fluffier than other recipes I’ve tried previously. 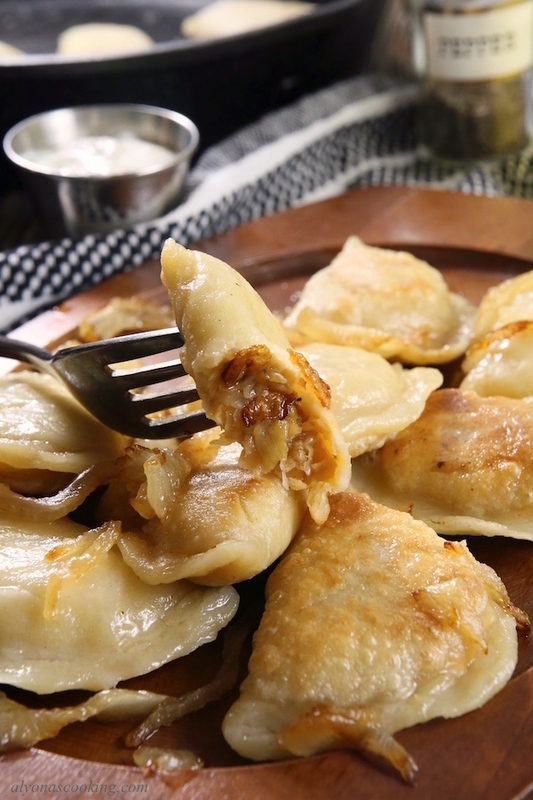 They only require a few minutes of cooking in some boiling water and actually freeze very well, (the pierogies pictured were actually frozen.) 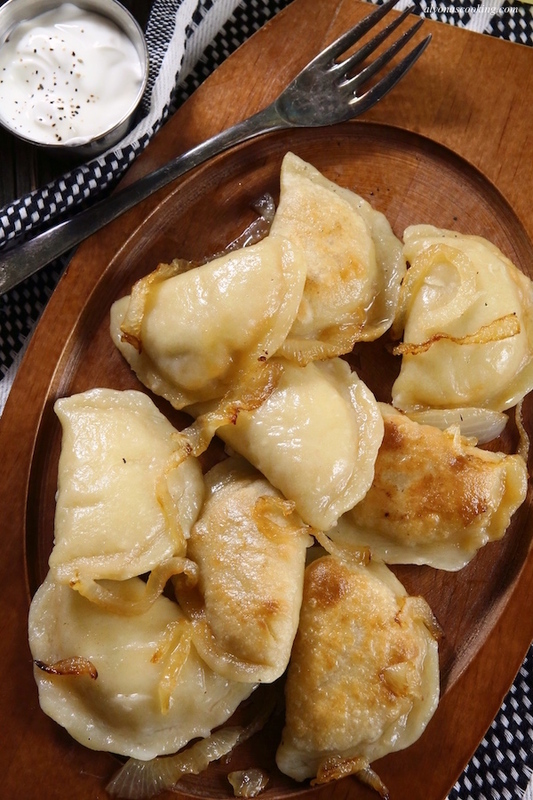 Fill these with mashed potatoes or some braised cabbage and serve with sour cream. 1. 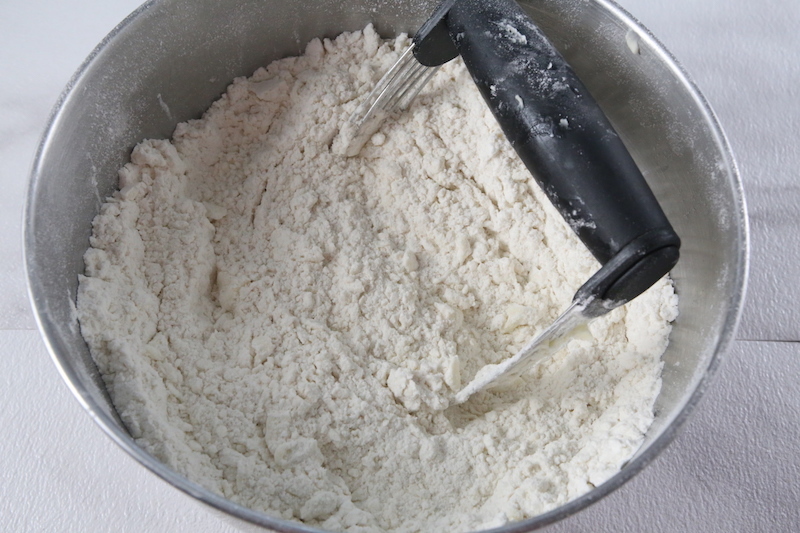 Stir the flour and salt in a large bowl. 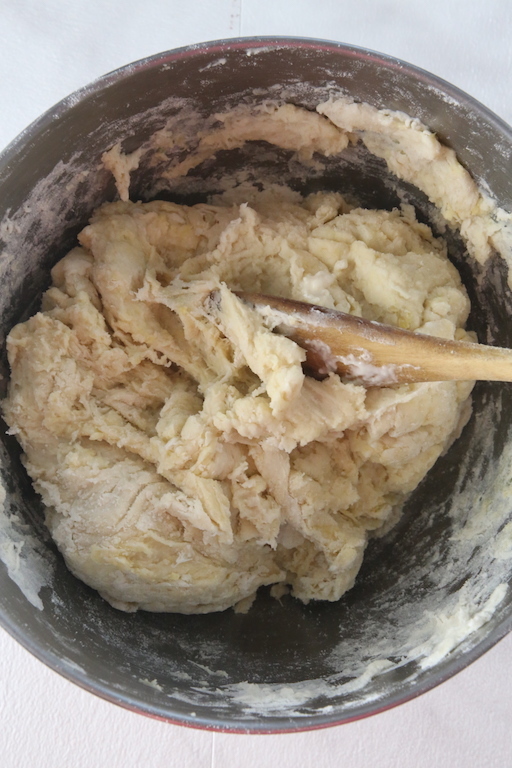 Cut in the butter until mixture looks crumbly. 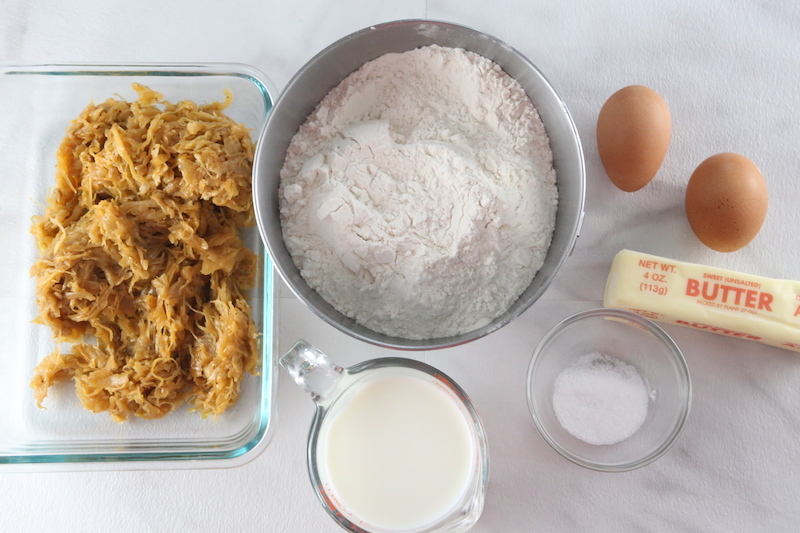 Add in the eggs then milk and stir with a wooden spoon until mixture holds together. 2. 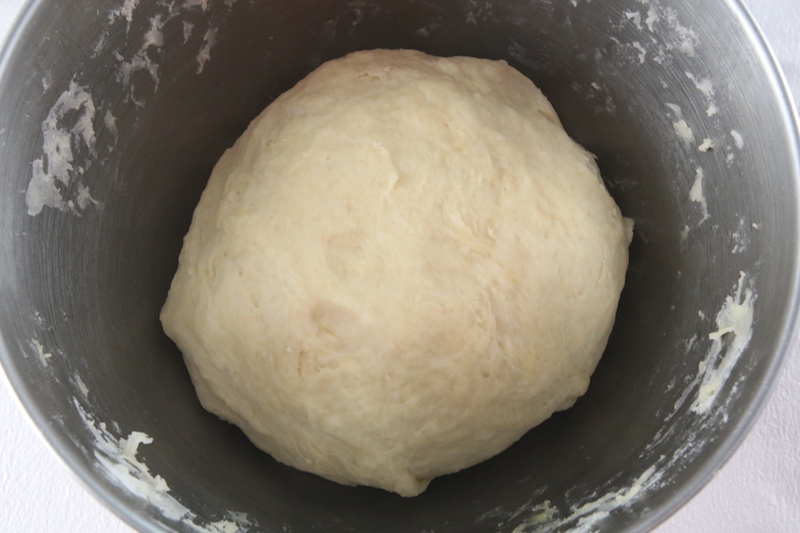 Lightly knead in the bowl to smooth out any rough looking parts. Set aside. 4. 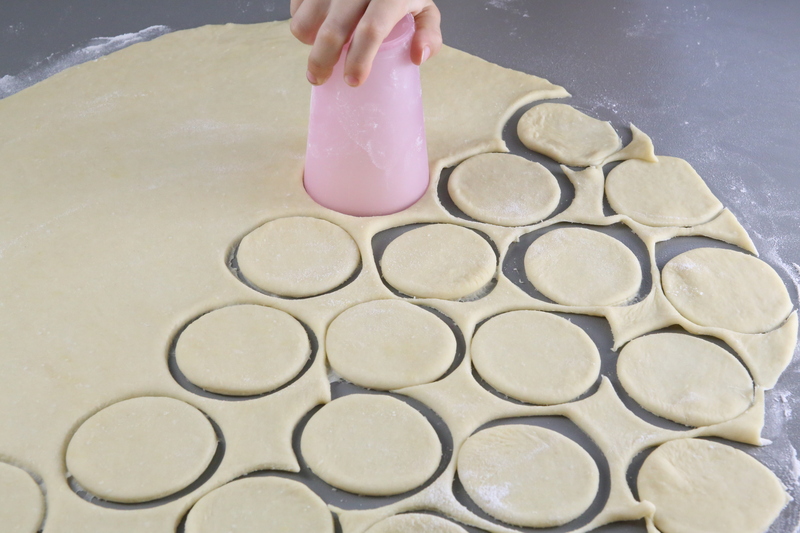 Cut out circles using a cup 3″ in diameter. 6. 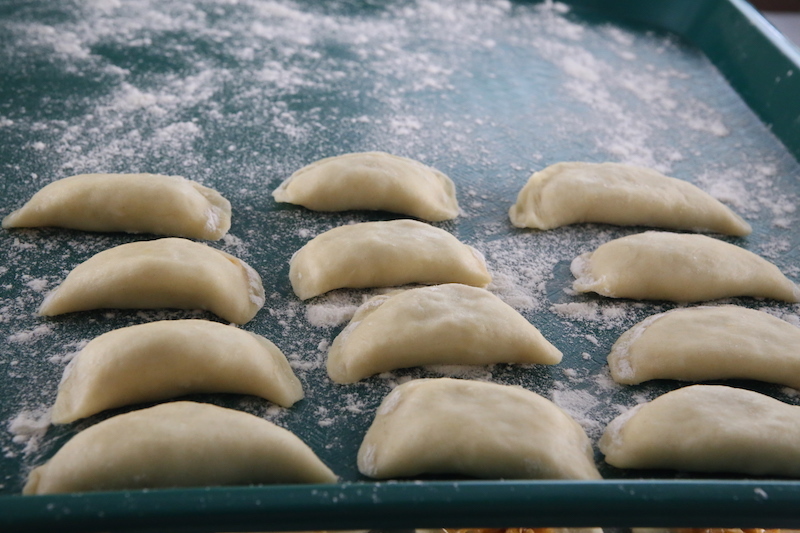 Freeze or boil in water for 3 minutes. 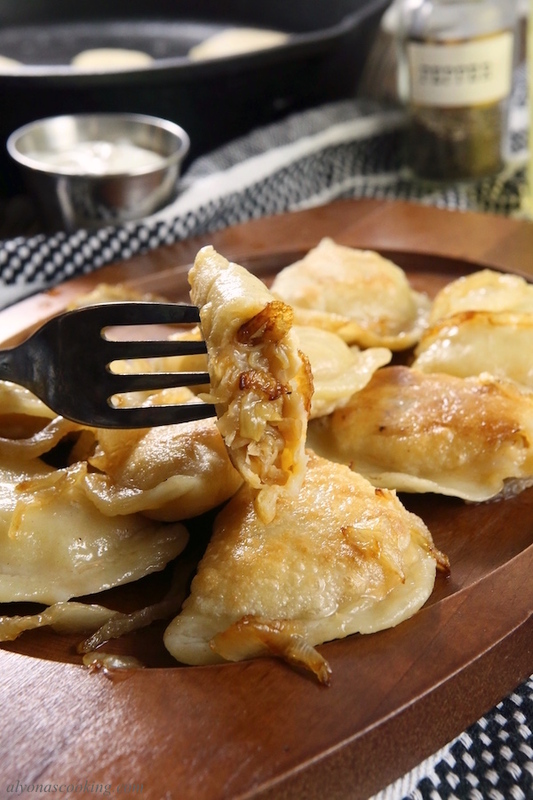 This Polish pierogies recipe came from a Polish lady. My sister-in-law asked her for the recipe after trying these at her job. Lightly knead in the bowl to smooth out any rough looking parts. Set aside. 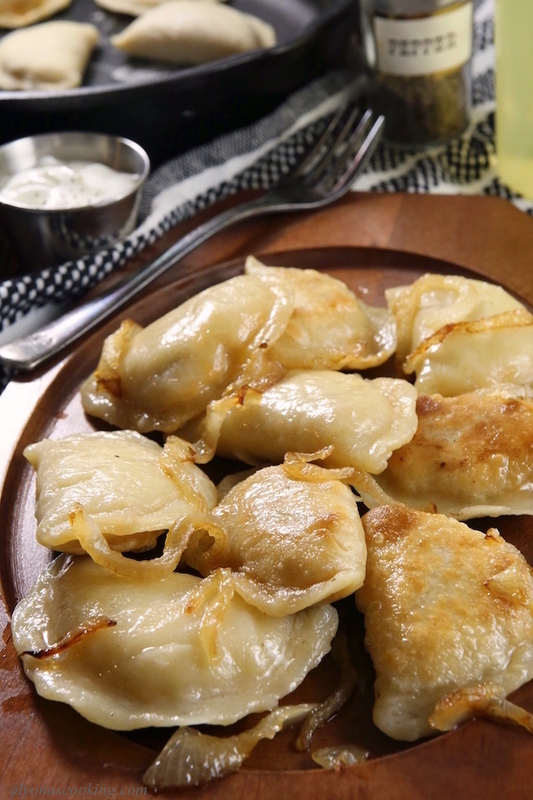 How many perogies does this recipe make? And can I cut in the butter with a fork? As far as the exact amount I can’t say right now, but it certainly does make a batch and it really depends on how big of circles you make. 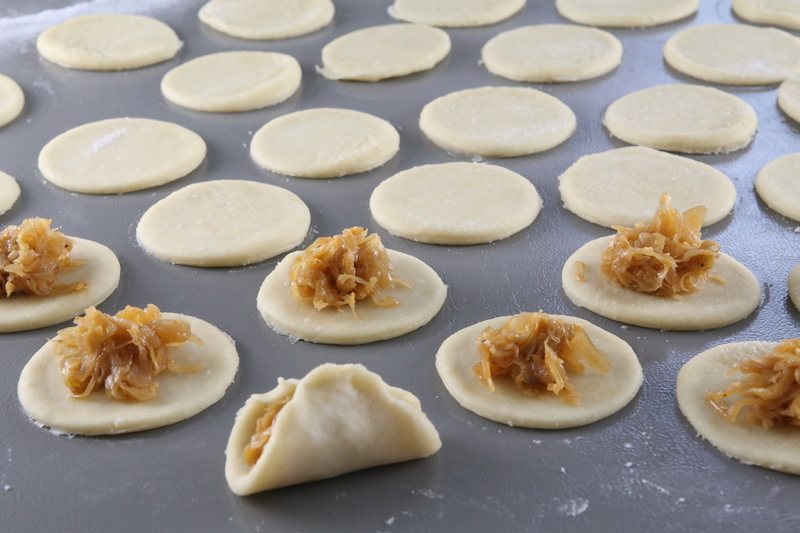 If you were even to make more than your preference you can always freeze for later use. 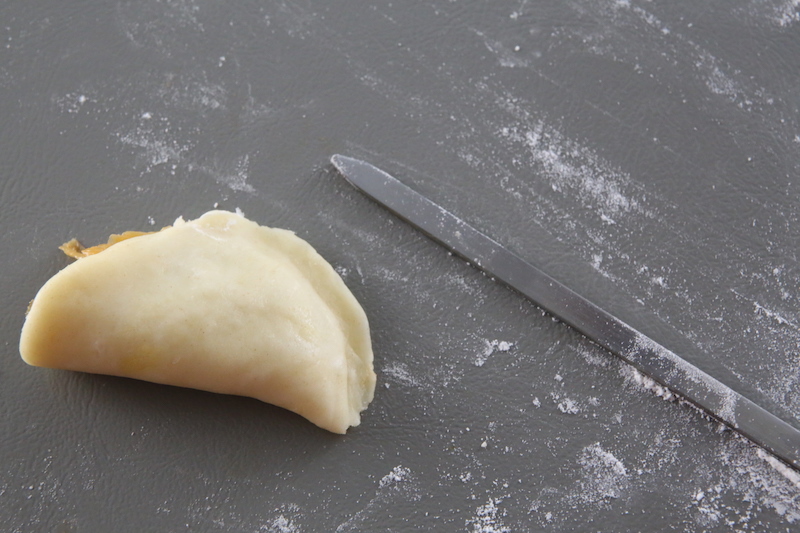 You can use a fork instead of a pastry blender.